Sample the sweetest treats London has to offer with this fabulous tasting tour of Chelsea and Belgravia. If you’ve a seriously sweet tooth, this is the experience for you! Get ready to sample the capital’s best sweet treats, during an afternoon’s guided tour of Chelsea and Belgravia. Explore a fascinating area of London, and discover its most indulgent bakeries, patisseries, and chocolate shops. 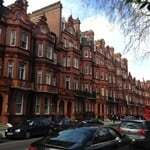 The tour starts in the heart of Belgravia, a short walk from Knightsbridge Station and Harrods department store. Here, you’ll be met by your friendly guide for the day, who’ll begin by leading an introductory chocolate tasting. You’ll sample a variety of different cocoa products and learn more about how they’re made, before heading to the first of several carefully-selected local artisans. These will include gourmet bakers, patisseries, and chocolatiers – and they’ll be something to try at each! You’ll savour the smoothest chocolate truffles, delicate meringues and macarons, Eccles cakes, shortbread, and more. During the short walk between each passionate producer, you’ll also discover a beautiful, historic part of London you may otherwise have overlooked. After a final cup of divine hot chocolate, the tour concludes, and you’ll depart thoroughly satisfied. The Chelsea London Sweet Treats Tour For Two is a fabulous way to spend an afternoon with your fellow chocoholic, and an Experience Days gift voucher would delight your sweet-toothed other half. The Chelsea Sweet Treats Tour can be booked most Sundays throughout the year, and begins at 11am. 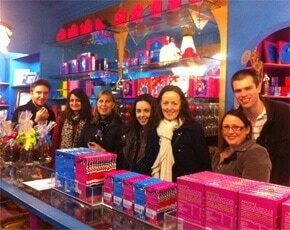 The Chelsea Sweet Treats Tour is suitable for almost anyone! This is a 3 hour tour. 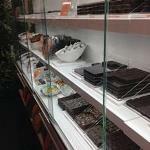 Participants: The Chelsea London Sweet Treats Tour For Two is for 2 participants. This sweet treats tour is not suitable for non-paying guests. Wear something comfortable for walking around in. The weather will not affect your Chelsea Sweet Treats Tour. What could be better than the combination of a leisurely stroll through one of the most prestigious areas in London, and an endless supply of one of the greatest cuisines on the planet? That’s right, nothing. Chocolate Ecstasy Tours provide exactly this experience, and I must say, it’s a good’un. 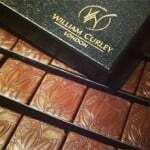 Getting the train up to Victoria, the initial meeting point was only a short walk away, at the William Curley patisserie down Ebury Street. Starting with a delicious hot chocolate, we introduced ourselves as a group, and settled down to listen to Jennifer, our tour guide for the day. There were ten of us including Jennifer, which was a great group size as it wasn’t too big, and we still got personal treatment. Jennifer is an expert in the chocolate industry, she does consultancy work for huge firms like Tesco Finest, and used to be a buyer (best job ever?!). All this knowledge meant she was extremely interesting to listen to, especially as you could tell she was thoroughly enthusiastic about the subject. I have a feeling this blog will mostly feature pictures, as there’s no way I could write down everything Jennifer taught us, plus I don’t want to spoil the surprise! At the William Curley patisserie, we tasted two delicious chocolates, including a beautiful juniper and blackcurrant flavoured one. I doubt I’ll be able to remember all the fabulous flavours we sampled, so you’ll just have to take the tour yourself! Heading outside, we walked through the famous Belgravia district, and learnt about the lives of Wolfgang Mozart and his sister while they lived there. I have to say, Jennifer’s knowledge of the area was very impressive, I wasn’t expecting a history tour as well as the chocolate tour – bonus! The second stop along the way was Artisan Du Chocolat, where we tried the most DIVINE mint chocolate. I was always a bit dubious about mint as a flavour in confectionery, I’ve never been a fan of mint ice cream or mint chocolates, but this one was different because it used fresh mint – like a little bitesize mojito! I could have eaten them all day, but there were more to try, including a lime flavoured chocolate, a lovely truffle, a liquid caramel chocolate, and most fascinating of all, a tobacco flavoured one! This one was quite strange, but not unpleasant, it was like taking a drag on a cigarette with a mouth full of chocolate. Moving on, we walked through Sloane Square, learning about the history of the King’s Road and the Peter Jones department store. Heading down Lowndes Street, we arrived at the Pierre Hermés store, who specialise in macarons. Unfortunately, I wasn’t allowed to film or take pictures inside, so you’ll just have to take my word for it that it was a beautiful little store and the macarons were the best I’ve ever tasted! I tried the rose, ginger and orange blossom flavour, which was simply sublime. Again, Jennifer taught us the rich history of the establishment, and how Pierre made his name in the patisserie industry. The last stop on the tour was Rococo Chocolates, where we really got down to business learning about the history of chocolate, the making process, and did some serious taste tests. Most people have never tried 100% chocolate, but I’ve tried it twice in a year now! It was incredible how clearly you could taste the difference between chocolates that were essentially the same, just grown in different countries. The varying soils, climate and surrounding plant life all affect the taste, giving each one a distinct flavour. 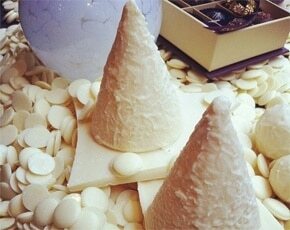 Check out the Mayfair London Chocolate Tour as well! 1) Please explain your journey as ‘Chocolate Ecstasy Tours’ so far. In 2005 I really wanted to “be an entrepreneur” and set up a business. At 23, I didn’t have a lot of experience, or any cash to speak of, but I wrote a list of all of the things I loved or was good at and brainstormed business ideas from this. Chocolate, meeting people and London were all on the list and I thought that introducing people to some of the gorgeous, hidden-away and somewhat intimidating chocolate boutiques I had recently found would be a great way to combine things I loved into a business that just might work; everyone loves chocolate, right? It wasn’t quite the overnight success I imagined and my first big piece of press in the Daily Mail in 2006 didn’t crash my website like I’d feared, but over the years the tours have grown and it’s great to be respected as a helpful part of the fine chocolate industry as well as receive such lovely reviews from people who’ve been on the tours. I love making people happy so I have a great job for achieving this on a weekly basis! To begin with I was afraid that running the tours would make me get tired of chocolate but I actually love it more now than before I started. There is so much to learn about chocolate and every piece tastes different and still so fabulous. All my vacations are to places I can learn about chocolate. I just got back from Vietnam and spent a day at Marou’s chocolate factory and two days visiting cocoa plantations. I’m honoured to get to judge chocolate for various prestigious awards and to assess it for companies as diverse as Tesco and the niche e-retailer, Cocoa Runners. Everyone working in the “chocolate world” is in it because they are passionate about chocolate and it’s wonderful to spend time around people who also love what they do. This year I’m challenging myself to see what else I can offer. I have plans for new tours, including ones abroad, and tasting evenings. I’m excited! 2) What differentiates your company from others? We are the longest running food tour in London and all of the guides would probably run the tours even if they weren’t paid to, they love it so much. Like me, they are passionate about chocolate and London and really enjoy making sure people have a great experience. What especially sets us apart is we have a great, collaborative relationship with all of the places we visit and we make a promise to all guests that they will be completely full of chocolate by the end. It’s a more in-depth tour, rather than a run around London pointing out shops. But it’s always light hearted and never boring (we like to think!)! I always advise people to have a low GI breakfast (or lunch!) before coming on the tour and to try everything! It’s an opportunity to find new favourites or be converted. 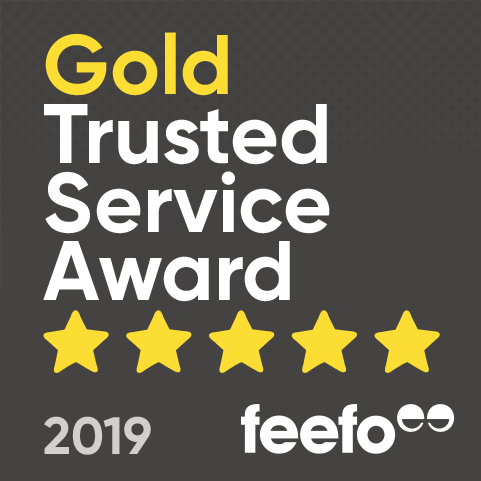 I’ve had lots of people come on a tour who previously didn’t like dark chocolate or white chocolate and they’ve found some they do like – it’s all about the quality! In May I’ll be taking a group to visit a crazy and fascinating chocolate factory in Austria and in September have a trip planned to Paris. I’ll also be launching a new chocolate and coffee tour and some evening tasting events from March. Where should I store chocolate? Not in the fridge! Unless it’s 30C+ in your house then a cool place in the house is much better. The chocolate can attract water in the fridge which will change the texture and taste. Also, straight out of the fridge the chocolate will have much less flavour and who is patient enough to remember to take it out an hour before eating! If it is over 30C in the house double wrap the chocolate before you put it in the fridge and wait for it come to room temperature out of the fridge before unwrapping it. How come you aren’t the size of the house? When I tell people they will be completely full of chocolate at the end of the tour I also tell them that it might not be the greatest amount of chocolate they have ever eaten. Because all the chocolate we sample on the tour is so high quality, with a high cocoa content, it’s much more satisfying so you don’t need to eat as much as cheaper chocolate. It’s actually hard to overeat the good stuff, like when you have a slice of really rich chocolate cake or a really thick hot chocolate. Though personally I do also eat a lot of vegetables as well, and usually steer clear of the crisps and chips, which helps too!